In addition to free data and texting while traveling in places like Mexico or Canada, customers will pay a flat rate of 20 cents per minute for voice calls to any of those same countries or the U.S.
T-Mobile is eliminating fees for using data and texting services in more than 100 countries and capping charges for international voice calls. Starting Oct. 31, customers of T-Mobile's flagship Simple Choice plan won't have to worry about getting hit with so-called roaming fees if they fail to sign up for an international plan before they travel abroad. Those fees can reach hundreds or thousands of dollars for a trip, even to neighboring Canada or Mexico. T-Mobile, the No. 4 U.S. cellphone carrier, has been trying to differentiate itself from bigger rivals by shattering longstanding industry practices and calling itself the "Un-carrier." The company began in March by dropping conventional two-year service contracts in favor of selling phones with installment plans. In July, it introduced a program that lets people upgrade phones more frequently — up to twice a year. AT&T, Verizon and Sprint have since followed with their own frequent-upgrade plans. At the time of the phone-upgrade announcement, CEO John Legere said a third major change was coming — the one T-Mobile announced Wednesday. In an interview, Legere said roaming fees are very profitable for the wireless industry, but T-Mobile hasn't benefitted much because it doesn't have many business customers who travel. With the new program, Legere said, the company is hoping to gain subscribers without sacrificing much revenue. But even if the company doesn't gain customers, Legere said T-Mobile won't be losing money in providing the service. That's because its existing agreements with wireless carriers around the world allow for more data use than T-Mobile's customers are using now. In addition, T-Mobile will make some money from selling higher-speed roaming plans — $15 for a day or $25 for a week. The free plan will be good enough for email, social networking, Web browsing and other common tasks, but customers who like to watch high-definition video might want the upgrade, the company said. There are signs that T-Mobile's previous changes have helped boost its standing. In the April-June quarter, T-Mobile gained long-term, good-credit customers for the first time in at least two and a half years. T-Mobile US Inc. added a net 688,000 such customers in the quarter, compared with a loss of 557,000 in the same period a year earlier. Part of the boost came because the carrier began selling Apple's iPhone for the first time in April. But the iPhone accounted for only 26 percent of smartphone sales in the quarter, an indication that there was more behind the gain. The new plan is likely to appeal to customers who travel frequently to any of the covered countries. Canada, Mexico and other major countries on every continent except Antarctica will be covered. Officials say the list includes the vast majority of the places Americans visit. In addition to free data and texting while traveling in those countries, customers will pay a flat rate of 20 cents per minute for voice calls to any of those same countries or the U.S. T-Mobile and other carriers now charge $1 or more a minute in many countries. For an additional $10 a month, customers will also get free calling from the U.S. to landlines in more than 70 countries. 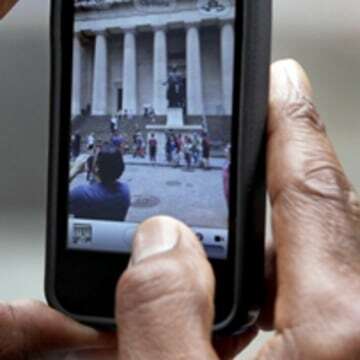 Calls to other countries in the program or to other mobile phones will be 12 to 20 cents a minute, the company said. 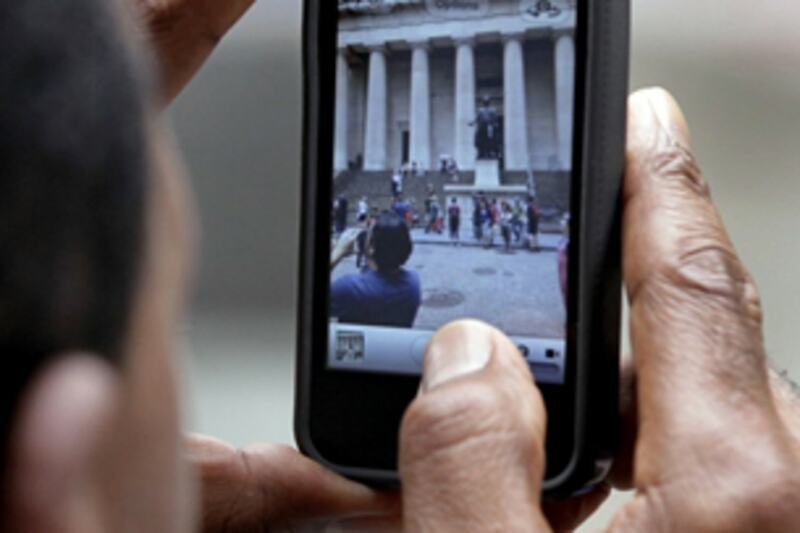 Data roaming will be where customers save most. Verizon, for instance, now charges $25 for 100 megabytes of roaming abroad — but only if you sign up in advance. Otherwise, it's $20.48 per megabyte, or $2,048 for 100 megabytes. Posting lots of photos on Facebook and using graphical mapping apps can eat up a few hundred megabytes over a week. There will be some limits for frequent travelers. Any trip abroad needs to be six weeks or less, and customers need to spend at least half their time in the U.S. in any three-month period. The program is not for students spending a year abroad, for instance. T-Mobile also announced Wednesday that its high-speed 4G LTE network now reaches 200 million people in 233 metropolitan areas. Legere said the company's network might not be as good as rivals in every rural pocket in the U.S., but it's fast in major cities. The company also announced a multi-year promotional deal with the singer Shakira, who was the headline performer at a T-Mobile announcement event in New York on Wednesday evening. Company officials would not disclose financial terms of the deal. T-Mobile has its headquarters in Bellevue, Wash., and is under the control of Germany's Deutsche Telekom AG.